Hey, Loves! Happiest of Tuesday’s to you all. We are heading out this weekend to Kansas City for a little getaway and I am sooo ready for it! I love KC shopping more than anything! I have Monday off to observe Memorial Day so we are taking full advantage! Today’s Healthy Living post is all about water. I am sure some of you are wondering why water would be worthy of its own post, but it is SO important. I cannot stress it enough. Anytime someone asks me for fitness/diet advice, one of the very first things I ask is “How much water are you drinking?” and 9 times out of 10 the answers are “I have no idea”, “I don’t drink water really”, “I don’t like water”, etc. How do we expect to lose weight or gain muscle if we are not properly equipping our bodies? We were MADE to drink this stuff! Our bodies are 80% water after all! You will rarely find me without water. I always carry my shaker cup with me, and I strive to get 1 gallon of water in me a day. Some days its more. Some days it’s less, but 1 gallon is always my goal. My shaker is 16oz so I know I need to drink at least 8 of them a day. I find that is easier for me to do than to carry around a gallon jug because drinking down one shaker is like a mini victory in my head, lol. I have trained my body to need it to the point where I get headaches and feel sick if I am under my normal water intake. Don’t get me wrong, I still drink my Starbucks Americanos and my CokeZero from time to time, but water is always with me even when I have those drinks. Our society has thrown junk at us for too long that we have grown to not like the “taste” of water; so much so that we have to doctor our drinks with flavored syrups, packets, etc. just to get ourselves to drink it. Is there anything wrong with using additives? Not necessarily, but I will always tell someone to drink water as it should be. In my opinion, that is the best for you. Water is super essential to our everyday nutrition and not just in the short term but long term as well. Water, in my opinion, is the easiest/fastest way to see results not only to your health but to your physique (and that includes skin, hair and nails). drink and when we drink pure water, our body doesn’t have to break down anything else first. the muscle allowing for a maximum and efficient “pump”. Our muscles are most efficient when we have the right balance of water and electrolytes (sodium and potassium). Also, water helps regulate our appetite. So if you’re feeling hungry or “bored hungry” and you know you’ve gotten a good meal in recently, drink water to subside those feelings. *Pump is a term used for the burning sensation you feel when you lift weights or are working your muscles hard. It is that feeling you get that makes you want to stop the movement because it is uncomfortable, but it is essential for growth. If we never work through those “pumps” the longer it may take for us to see change. For weight loss, water is a natural diuretic. It helps clean out all the bad stuff your body doesn’t need and processes it into urine. I have seen people lose 5 pounds in 2 weeks just by increasing their water to a gallon. Now that is not body fat of course; that is pure water and junk your body is flushing out via the extra water you are drinking. Also, drinking a lot of water means your bloodstream is well hydrated. A well hydrated bloodstream can transport more oxygen. The more oxygen the body has readily available the more fat it will burn for energy. Without the presence of oxygen, the body cannot utilize stored fat for energy efficiently. Water can be a fatigue fighting agent too. Most people will feel higher energy levels just from adding in more water. 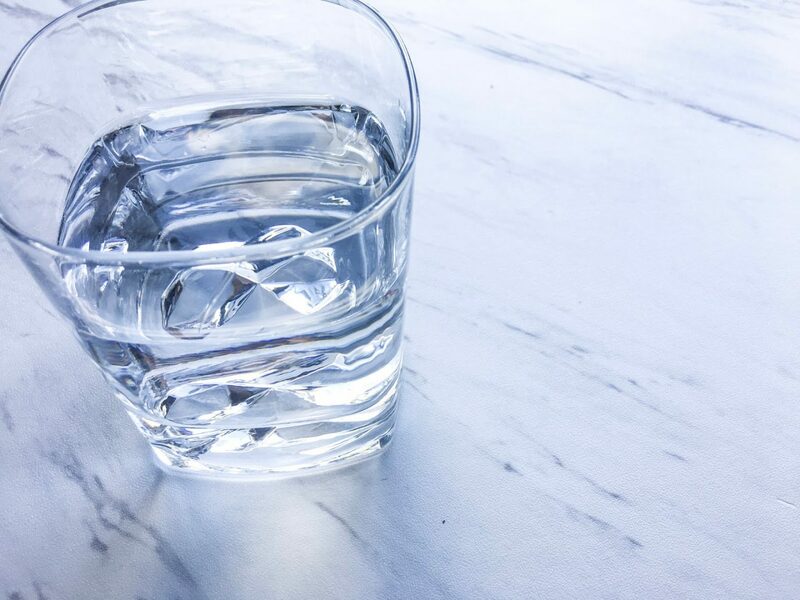 Adding a gallon of water a day will help you look better, work better, and feel better right away! Now, don’t expect to just start drinking a gallon a day and feel 100%! My first few days of increasing my water intake I definitely felt bloated. That is normal, your body just isn’t used to it! Take it one day at a time as long as you are progressing your water intake day by day. Believe it or not there can be too much of a good thing. I have a close friend that was drinking around 1.5 gallons of water in a 8-hour time frame and it actually put her into the hospital. Wait, what?! YES! She was drinking so much water that it was flushing out all of her essential nutrients causing her to become low in sodium, potassium and blood pressure. The condition is called Hyponatremia. The girl just loves her water! This did not happen due to one day of over-consumption, but I would assume over a lengthy period of time. I will always recommend a gallon to someone but you know your body best. If you truly feel that you don’t need that much water (or its not enough) or you may be on the brink of Hyponatremia, please alter your water intake. At the end of the day its how you feel and how you want to live your lifestyle! You do you, boo! Hi! so happy I found your blog. I was raised in Lexington Ne. and I love finding people the lives in Nebraska just to feel close. I live in Jeff Indiana. Anyways I was searching about fitness and tips and I love your tips! Thanks so much for stopping by and taking the time to comment! Im happy we could connect and look forward to sharing my creative space with you!